Was Daraz.pk 11.11 Sale 2018 Successful? In Pakistan, for the first time ever Daraz.pk has brought the 11.11 Global Shopping Festival by Ali Baba for its consumers in the country. This 11.11 sale event was introduced by the parent company and the well-known e-commerce giant known as Ali Baba around 10 years ago. This sale is considered as one of the biggest sale days across the globe. The 11.11 sale of Daraz.pk kicked off on the midnight of 11 November and lasted for 24 hours. It offered a discount up to 91% on a variety of products. It offers hourly flash sales, brand vouchers, unbelievable deals and mystery boxes in this sale. The sale included around 3 million products from over fifteen thousand local as well as international sellers. This was the first time ever by any online e-commerce store to include international sellers in their online sale. 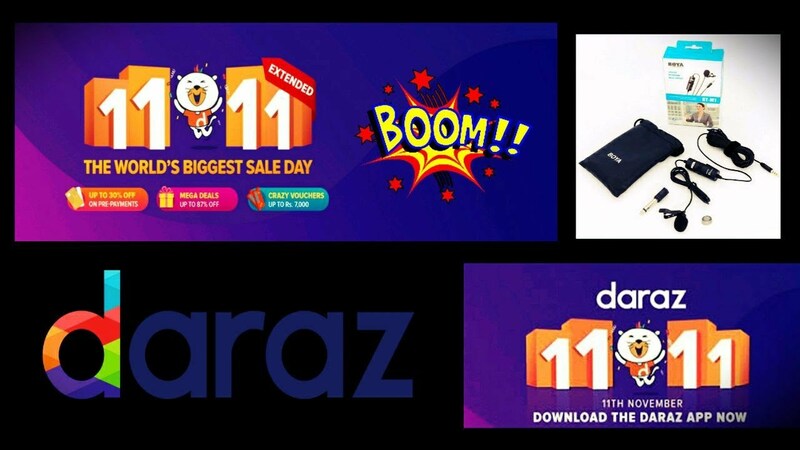 11.11 sale was one of the first mega sale events by the new Daraz App, which offered the users a truly personal AI driven experience by showing the deals and products of the sale in a lively manner. Dr. Jonathon Doerr CEO of Daraz.pk stated that over the last few years we have pioneered e-commerce to pace up the digital transformation of Pakistan. Today, we are thrilled to see the impressive results and will continue to drive the force constantly innovating customers and merchants in the coming years. Our 11.11 sale was taken the next level of online sale shopping for customers. Who Offered Discounts on 11.11 Sale on Daraz? In the 11.11 Sale by Daraz.pk it brought the big players of the industry together which included P&G, Loreal, Unilever, Nestle, Pel, Haier, Nestle, and MI. All these brands offered mind-blowing deals along with exciting vouchers to the consumers in this sale. In this sale, every single category on the site like phones, TVs, automotive, computing, gaming and many more hosted massive discounts on a varied assortment of products for the consumers. During this sale, the Telenor subscribers also enjoyed free 4G data usage on the Daraz App. They were able to discover the best vouchers and deals on the ease of sitting at their home or wherever they were on the go. HBL also provided additional discounts on its debit card, credit card and direct bank transfer to the customers. With the PCI compliant checkout facility of Daraz, it provided the users a secure and safe payment online experience. Along with HBL, customers having credit cards or debit cards of Silk Bank, Bank Alfalah, MCB, and Meezan Bank were able to get up to 20% off on their purchases. Was it Successful or Not? So, now the 11.11 sale of Daraz has finally come to an end and now the consumers will surely like to know whether this sale before their big event of Black Friday Sale in November was a success or not? Well, according to some reports it came in to notice that Daraz.pk was not able to make good sales on their 11.11 sale which was expected by them before. The reasons could be their non-responsiveness of a mobile app in buying products faced by the consumers during the sale. Moreover, the most probable reason for the failure of this sale was no popular products were given on sale. Well, the question now here is will Daraz.pk, go for their Black Friday Sale 2018 after this 11.11 Sale failure. Let us wait and see what happens. Don’t forget to share your comments in our comments section below.